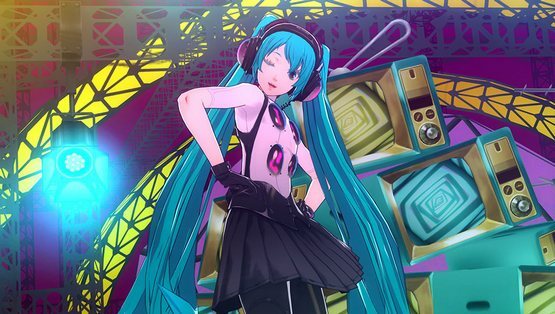 It’s official, the Hatsune Miku DLC will be coming to the North American version of Persona 4: Dancing All Night. She dances to a remix of “Heaven,” which I find starts out a little choppy, but gets pretty good. It’s also one of the hardest songs you’ll encounter in the game. Related: Hatsune Miku Project Diva X (Vita) Hands-On at Tokyo Game Show. The DLC allows Miku for only her own song, however, and she can’t partner up with any of the regular Persona 4 cast. This content will go live for North America on Oct. 20 and cost $5. In Japan, it was 800 yen, which is about $6.50 by the current exchange rate.